Part of the popular Canyon Trails masterplan in Goodyear, Seasons at Canyon Trails features versatile ranch and two-story floor plans with hundreds of exciting personalization options. You will appreciate abundant community amenities, including parks, trails, sports courts and playground, as well as easy access to popular schools, shopping, dining and entertainment. Plus, close proximity to I-10, Loop 303 and Loop 101 make this exceptional new community a wonderful choice for commuters! Enjoy Single floor plan living in this inspired ranch floor plan! 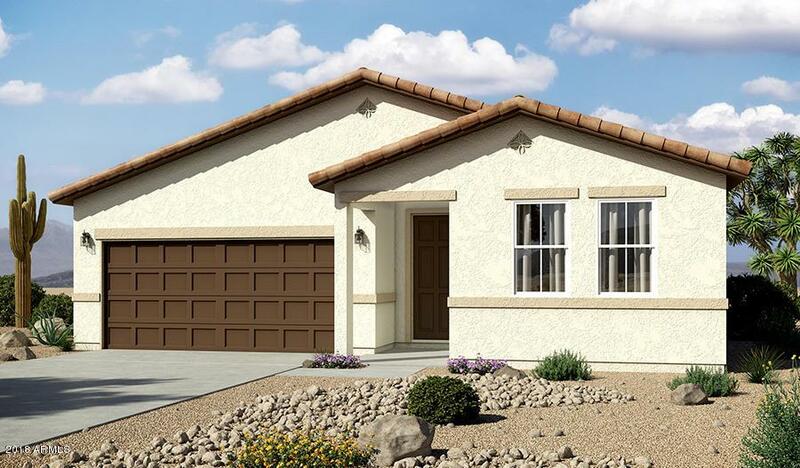 At the front of the home, you will find two bedrooms flanking a full bath. Toward the back of the home there's a well appointed kitchen nestled between an elegant dining room and generous great room.